Play as Jhet, a lonely farmer boy who inherits his passed Father's farm. Along with the farm, Jhet also inherits his Father's prized magical talking chicken Babes. Come along for the adventure to help save Gaia from the evil Sarlax in this original story RPG! 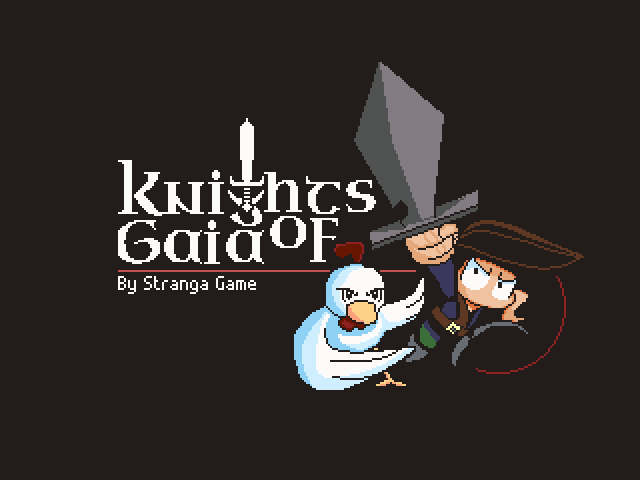 Do you have what it takes to become a Knight of Gaia? ...or, does Jhet? This game will be available for Early access in steam and here once more development has progressed. 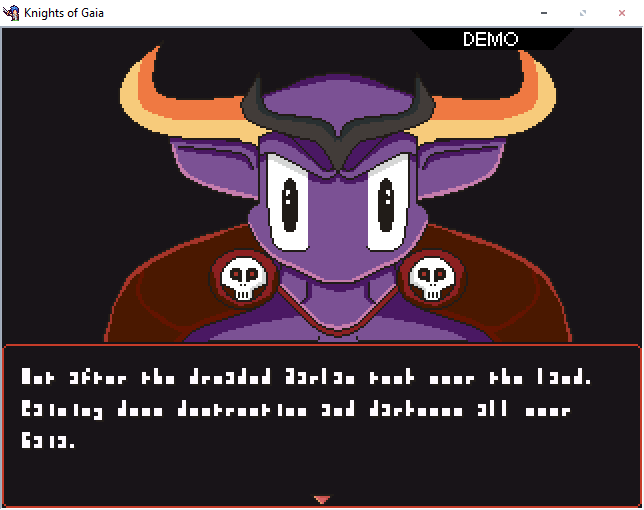 In the mean time, please check out the demo, it's FREE! And also check out my Pateron for frequent updates on the game as well as access to other goodies. Please let me know of any bugs or glitches. This would of been fun to port to MV if it were made in VX Ace. Are any of your games made in VX Ace? Hey when do you plan to make this game available to steam? When i startup the game it says: RPG maker 2003 RTP is not found. And then it doesnt work. That was was my fault. I'm sorry, when I was packing the game into a zip folder the RTP files didn'tcopy over as well. The game is still playable if you download the RPG2003RTP from the website. Thank you! And I used vivi as a concept for designing Luto! 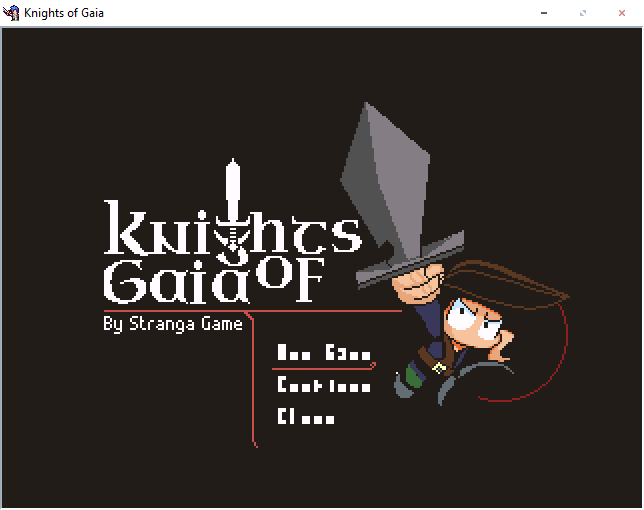 Hey man, really want to try the demo out for this but the text is all messed up for me. Anyway to fix this on my end? I see the problem! It's not recognizing the font. You could try and download the font and install it to your pc , it's called terminal. P.S Please let me know if this works for you? Do you happen to have a download link for this font? Can't seem to be able to find this particular terminal font. I have uploaded the same font I used in the game here: Terminal Font. 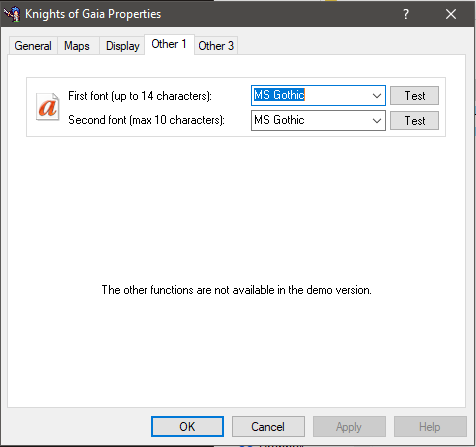 Hey man I installed the fonts you provided and it hasn't fixed my text issue in your game at all! If you go the Hyper Patcher route, here is how to change the font. Select the Game folder with Hyper Patcher 2 Then follow the picture below. That game looks super cute and fun. I like the conversation style. Hey thanks! You can still try a demo if you're interested? It just won't be a submission for the IGMC though. Have a look in my latest devlog comments for a link. Amazing graphics and very professional presentation! I just want to point out that I saw in the gifs here with the King Snes (love the name btw): The verb is "to kneel". Neil is just a person's name. Please! I only commented here because I didn't find you on the Discord. The game looks absolutely professional and you shouldn't beat yourself up for small slips. Keep up the awesome work!